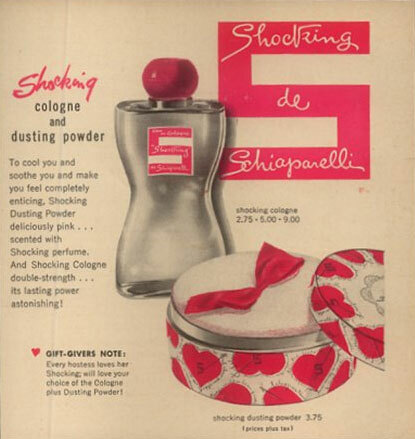 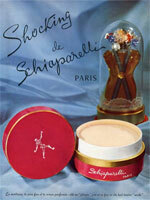 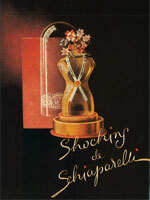 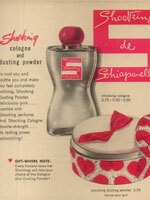 Perfume and fragrance advertisements for Shocking by Elsa Schiaparelli. 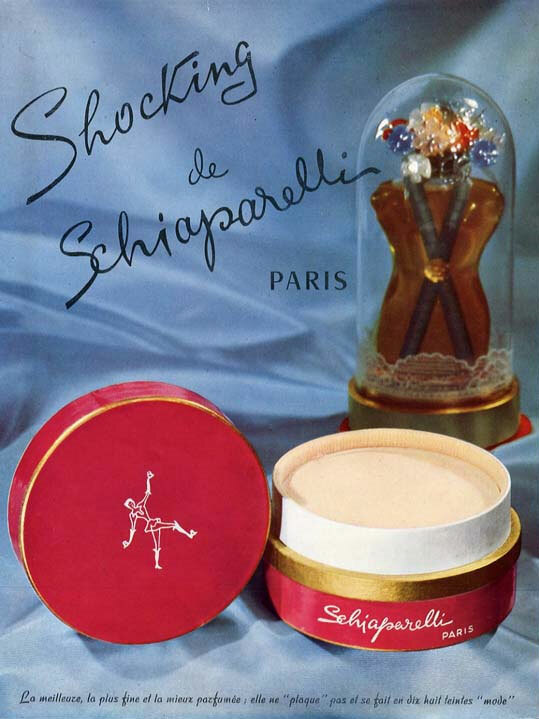 Shocking by Elsa Schiaparelli - First launching in 1937 by perfumer Jean Carles of Dragoco, Shocking was a fragrant accessory to her Shocking Pink clothing line, this floral woody amber (oriental) fragrance includes top notes of bergamot and estagon, heart notes of honeysuckle, rose and jasmine, and base notes of musk and civet. 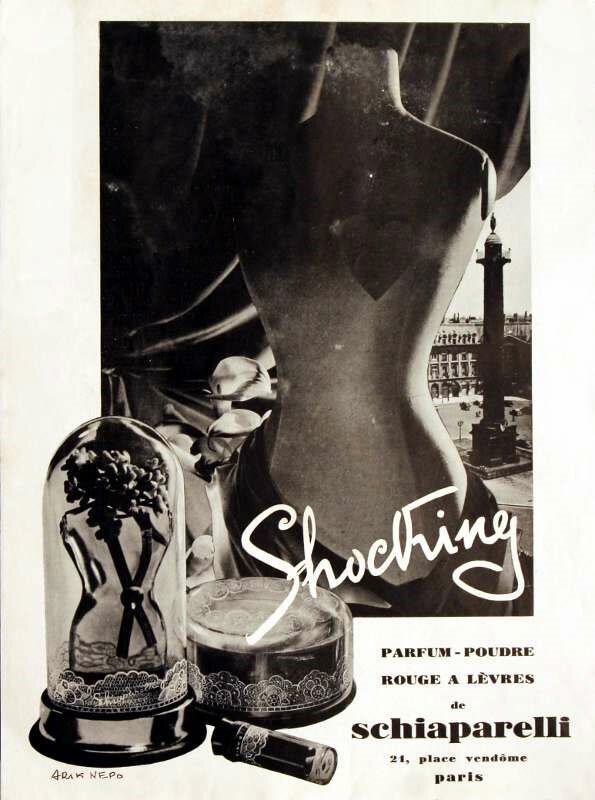 The Shocking flacon (perfume bottle) was inspired by Savador Dali's paintings of a female flower seller, and sculpted by Australian surrealist painter, Leonor Fini. 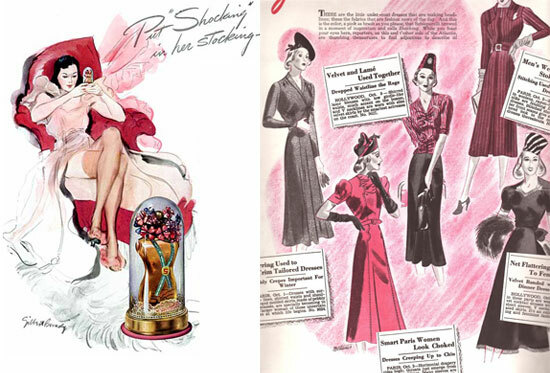 The bottle, originally made in Czechoslovakia, is in the shape of a woman's torso, draped in Shocking Pink, said to be inspired by the curvaceous actress Mae West, based on her tailor's dummy. 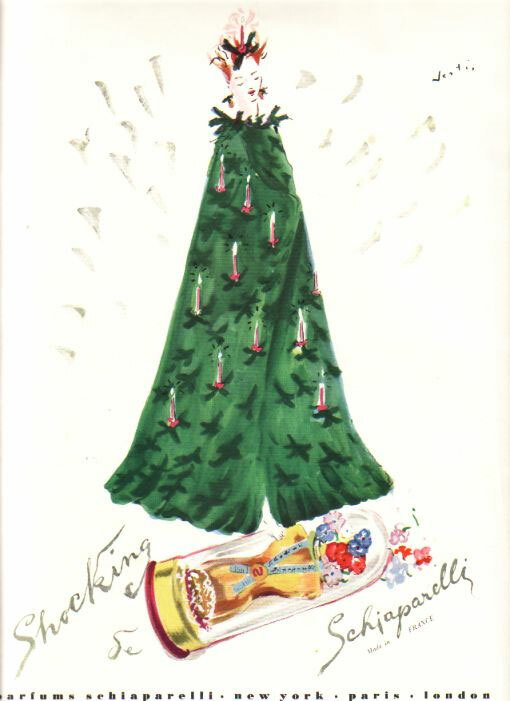 West was a client of Schiaparelli. Shocking was relaunched in 1998. 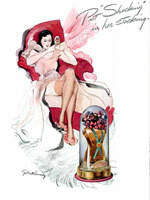 Advertising illustration created by artist Marcel Vertes. 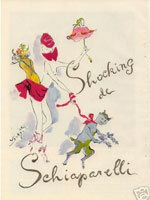 Perfume advertisements for Shocking by Elsa Schiaparelli by fashion illustrator, Marcel Vertes. 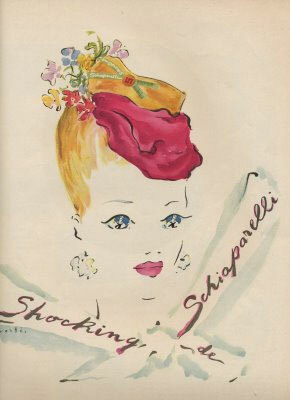 Vertes and Schiaparelli worked together on the 1952 movie Moulin Rouge. 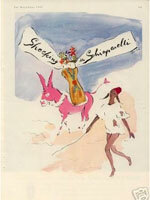 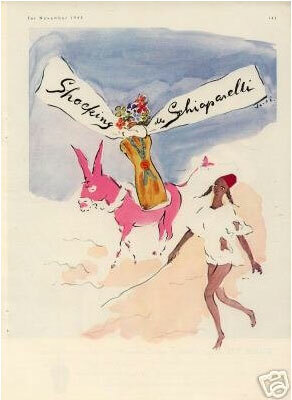 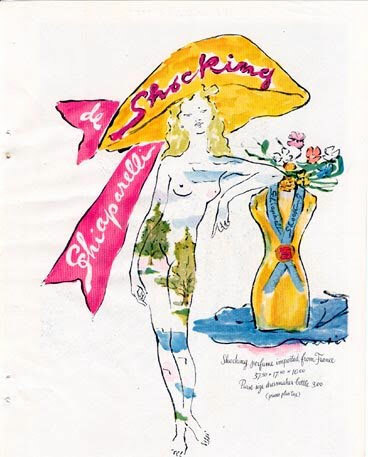 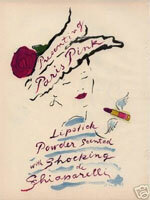 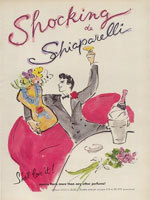 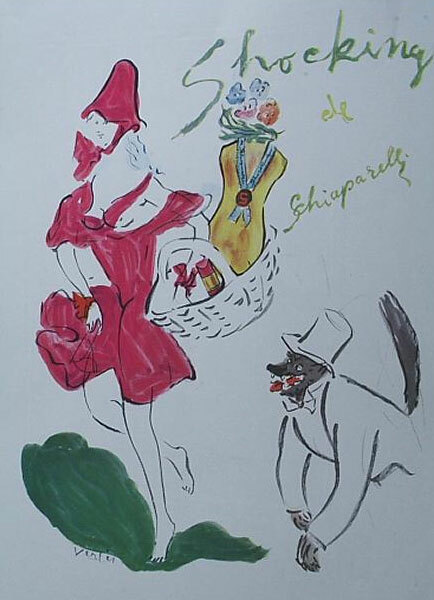 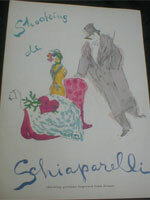 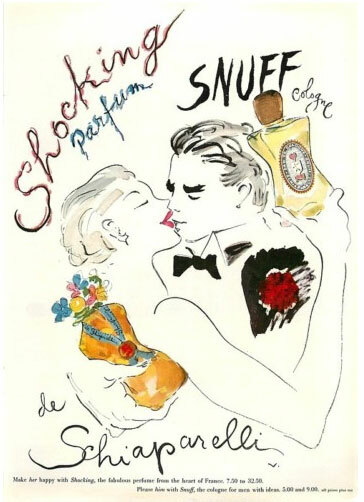 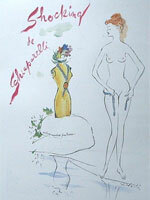 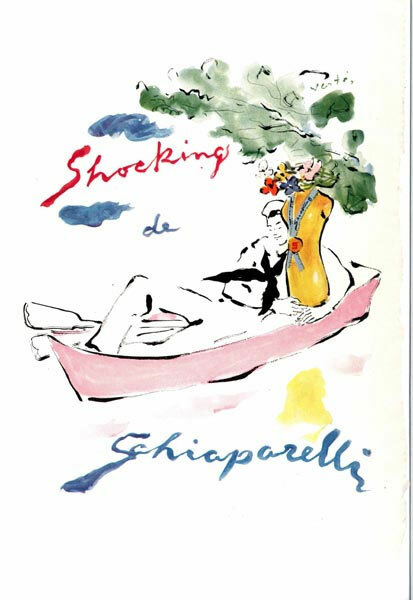 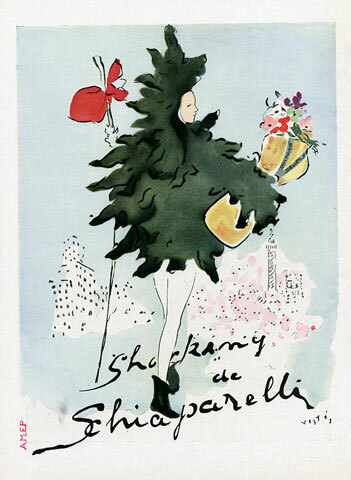 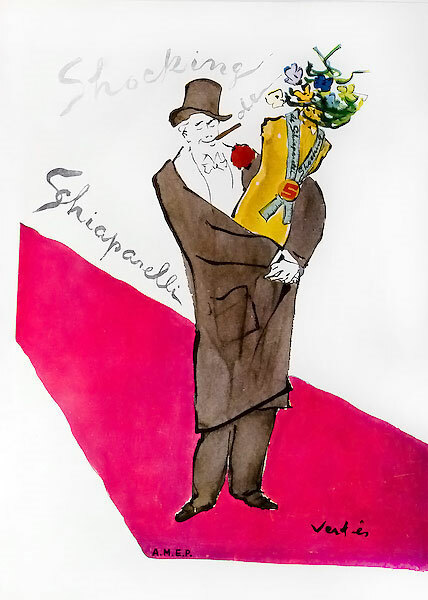 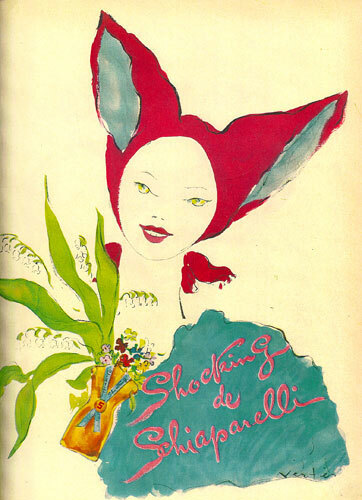 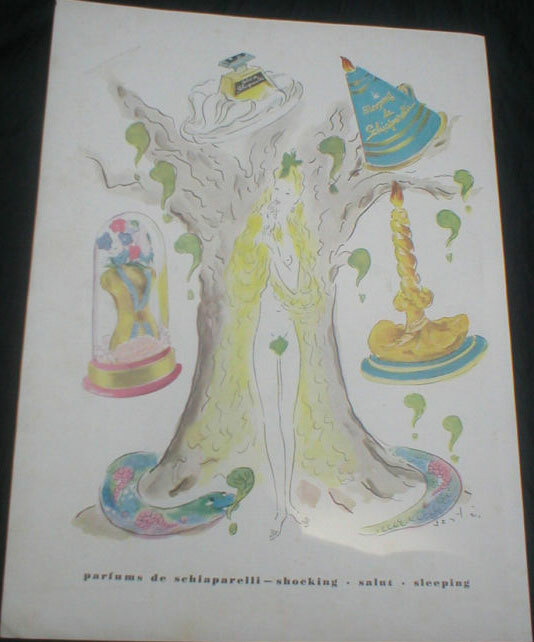 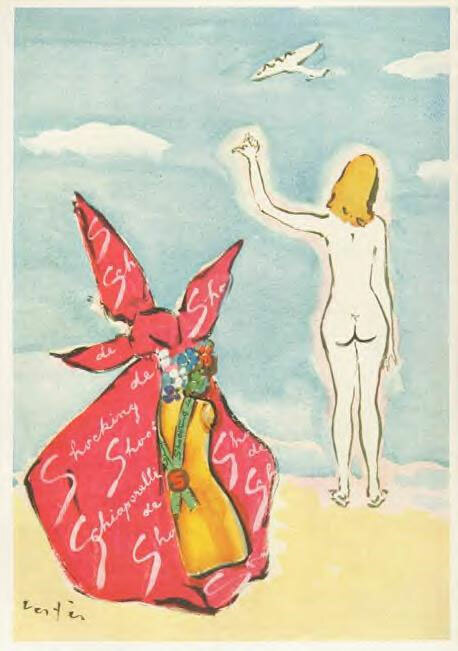 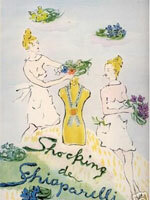 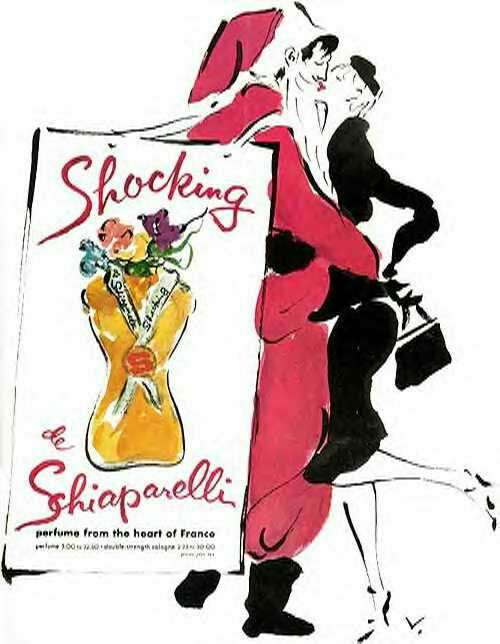 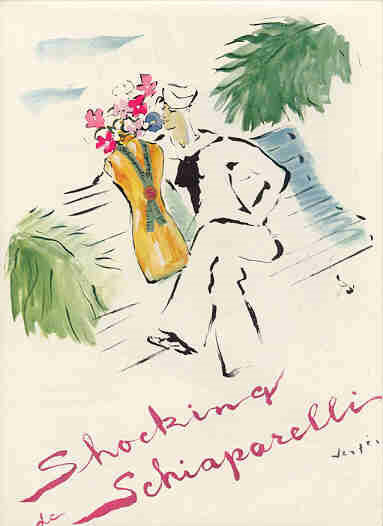 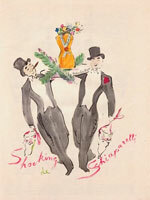 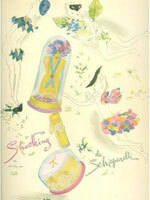 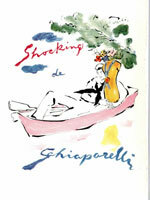 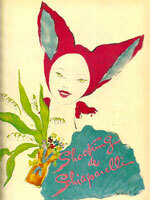 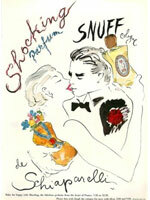 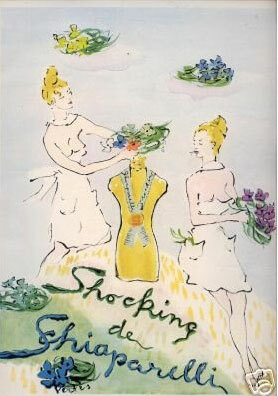 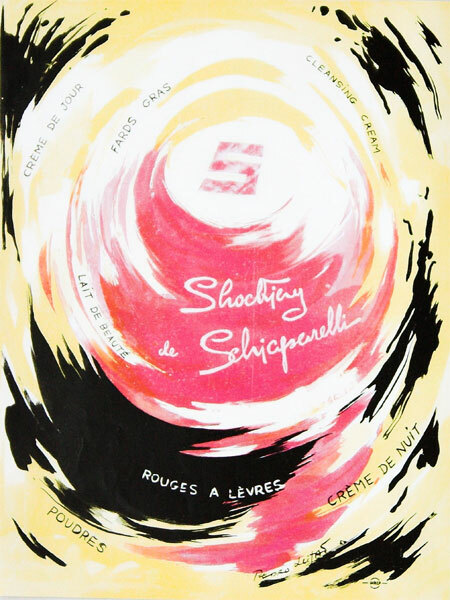 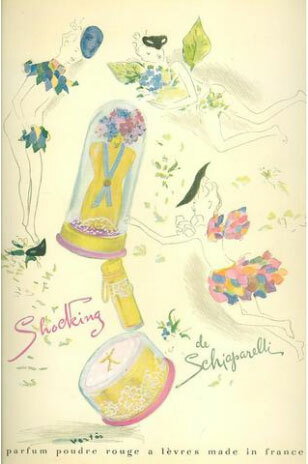 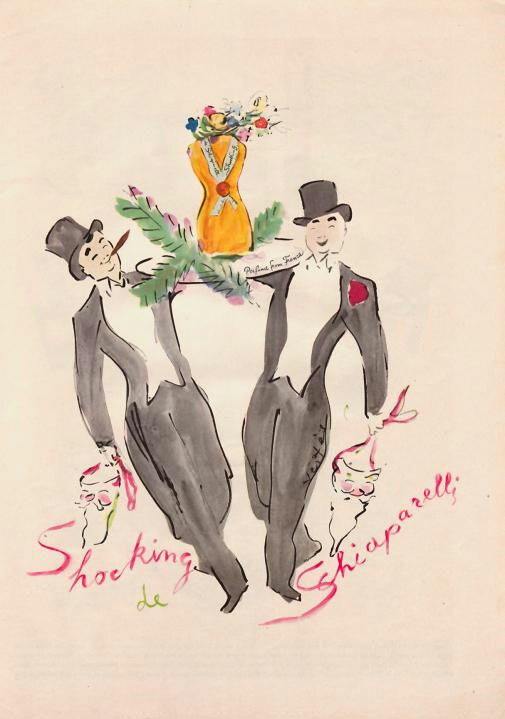 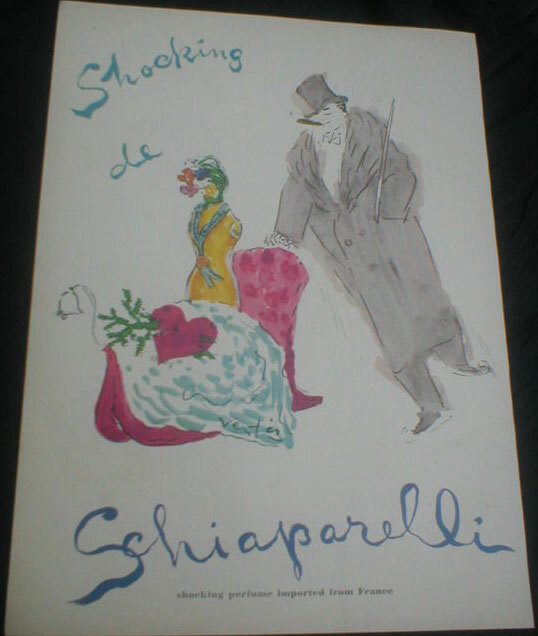 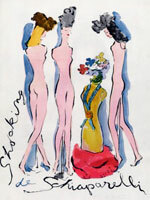 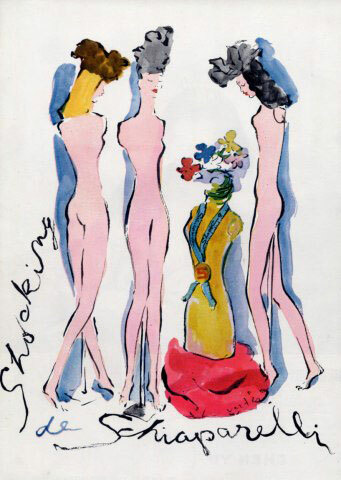 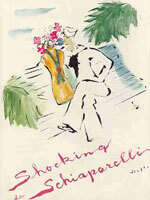 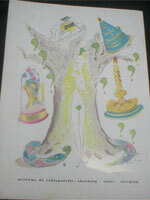 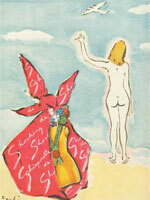 Fragrance advertisements for Shocking by Elsa Schiaparelli by fashion illustrators. 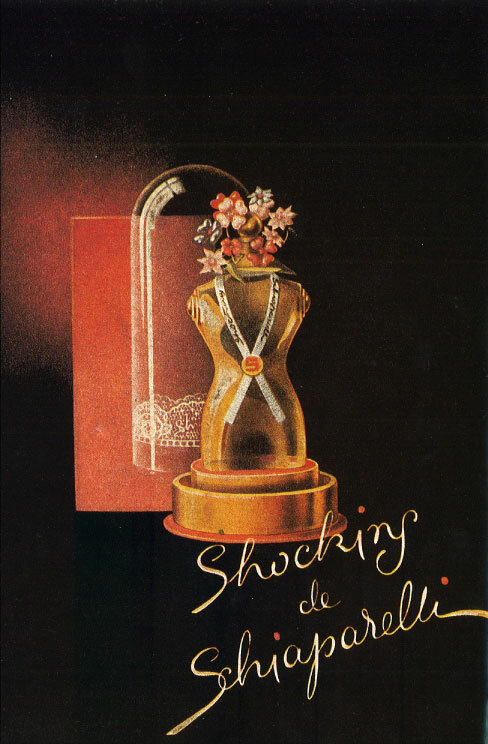 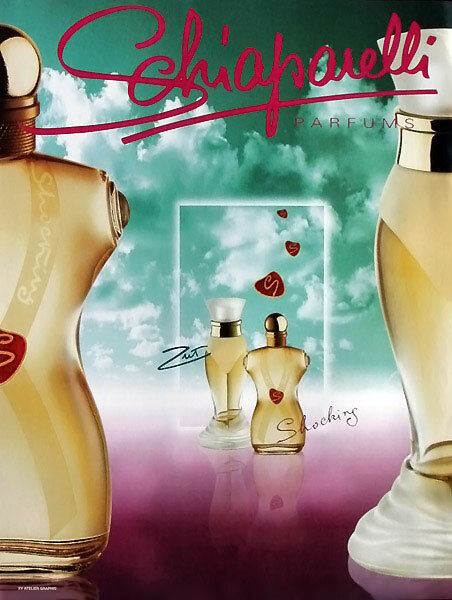 Perfume advertisements for Shocking by Elsa Schiaparelli for the original fragrance (1937) and the re-launched 1998.